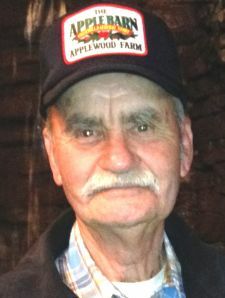 Clifton Lee Chumley, 83, of 616 Cedar Street in Eden, passed away Wednesday night, February 6, 2019, at his home. A funeral service will be held at 2 PM on Sunday, February 10, at Fair Funeral Home Chapel with burial to follow in Overlook Cemetery. The family will receive friends Saturday evening, 6 - 8 PM, at Fair Funeral Home and other times at the residence. Mr. Chumley was born April 26, 1935 to the late John Garrett Chumley and Mary Jane Jones Chumley. He was a graduate of Stoneville High School and a member of Church of God of Prophecy. Cliff loved football, softball and enjoyed trips to Pigeon Forge. He retired from Fieldcrest Mills. He is survived by his wife, Annie Rierson Chumley of the home; two daughters, Teresa Chumley Harris and husband, Ronnie, of Madison and Donna Chumley Garcia and husband, Greg of Longwood, NC; grandson, Kevin Harris and wife, Kendall, of Stokesdale; brother, Irvin Chumley and wife, Judy, of Eden; sister, Louise Spencer of Kernersville; brother-in-law, Jerry Collins; and sister-in-law, Gladys Chumley. In addition to his parents, he was preceded in death by three brothers, James, Cleo, and Wade Chumley and sister, Lois Collins. Special thanks to Hospice of Rockingham County and staff members, Rick Gibson, Beth Starling, Megan Cole and Stephanie Smith. Memorial contributions may be made to Church of God of Prophecy, 13811 Old State Hwy 87, Eden, NC 27288 or to Hospice of Rockingham County, PO Box 281, Wentworth, NC 27375. I will certainly miss you hugs, Cliff. Prayers for Sis Annie and the rest of the family. We love you all! I am truly sorry for your loss. My thoughts and prayers are with you now and in the days ahead. May God comfort each of you. Sending hugs & prayers. He was a great man, loved by everyone, he will be greatly missed!! May God comfort each of you during this time and wrap his loving arms around you. So sorry to hear about Cliff! I know he is happy in his Heavenly Home. No more pain and suffering! Cliff was a wonderful man, he loved everyone! And to know him was to love him! I know how much he loved all of his family! All of you are in our prayers! I pray that God will bless you and give you comfort and peace! We will see him again! So sorry to learn of cliff passing. He was a nice and kind gentleman that was always smiling and friendly. May the lord bless you in the days ahead and comfort you. To the Chumley family, We are so sorry to hear of Cliffs' passing . He was a hard-working man. He will be truly missed by all who knew him . May God Bless & comfort you all each & everyday. May God keep HIS loving Arms around you at this difficult time in life . You all will be in our thoughts & Prayers, Love in Christ, Harold & Nancy Raines .